So, you’re a woman rocking along in a job you love. Your bosses seem more than pleased with your hard work. You feel appreciated for the most part. That is, until the moment you discover that your male colleague sitting right next to you in a similar position with similar years of experience is paid far more than you are. That’s what reportedly happened last week to “E!News” host Catt Sadler, who after 12 years at the network said she learned that co-host Jason Kennedy was paid double what she had been making for several years. Armed with this information, she said she went into contract negotiations expecting her pay to be made equitable. E! denied discrimination. But “not only did (E!) refuse to pay me as much as my male counterpart, but they didn’t come close — nowhere close, not even remotely close,” she said. So she quit. Sometimes, a woman needs to take a stand and make a move. Sadler spoke up. Sadly, so many women don’t. Overwhelming research shows that women ask for raises far less often than men do. We gotta get over this hurdle. No wonder this country still has a gender pay gap — women still earn 81 cents to every $1 a man makes. It’s even worse for women of color. The gap has been caused by an economic stew, including that women more often sign up for lower-paying jobs and white men more often get top-paying jobs. And there can be differences in the history of wages for candidates coming into jobs. But when a woman knows she’s doing the same job as a man and has the same years of experience, she deserves a fair share. Why is it so hard for women to negotiate for it? At this rate, women will never catch up. Some experts say we won’t get to gender pay equality until 2119. That’s more than a hundred years from now. It matters because women are leaving millions of dollars on the table over their lifetimes, affecting where their families live, the quality of schools their kids attend and future raises based on their annual pay. Experts say many women often don’t even think of asking for more pay and if they do, they find the notion of haggling intimidating. And too often, bosses — male and female — negatively attach labels like “aggressive” and “bossy” to women when they ask for what they want, labels no one would dare ascribe to men. So women stay silent. It’s past time to make some noise. We can’t keep waiting to be tapped on the shoulder for more money and promotions. If we feel we deserve a raise, we have to ask. A career coach once told me that in her decades-long experience, asking for a raise was very difficult for women. But men do it all the time. The answer will be yes or no. If it’s no, then you have a firm answer with which to make some important decisions. I’ve always taken that to heart. I posed a question to a women’s online discussion group asking members if they’d ever been in the “E!News” anchor’s situation. How’d they handle it? And the floodgates opened, tale after tale of women somehow stumbling across information — they asked a male colleague, someone slipped and gave the information — showing they were underpaid compared with male counterparts. The good news is that many of these talented women spoke up. The bad news is that the employers of many of these talented women didn’t budge, and the women bolted for the door. Sometimes, though, they asked and they got. That happened to me. In a new role, I gained access to salary information. I was always made to feel appreciated, so I was stunned and frankly disappointed to discover that I was making far less than a male colleague. We had similar years of leadership experience — in fact, I had a longer tenure in the business. I was confident in my abilities, so I calmly approached the boss to make him aware that I was aware of the inequity. I didn’t ask “if” this situation would be fixed but “when” it would be fixed. He very well could have told me no, but I suspect he knew it would not be pretty if I had to press this further. I was also prepared to leave, if it came to it, but like Sadler, I would not have gone quietly. This is tough stuff. Not everyone can afford to walk. And of course there’s the long-held culture — and sometimes company policies — of keeping salaries a secret that prevents women from knowing exactly where they stand. It also didn’t help that President Donald Trump halted an Obama policy to require companies to report what they pay employees by gender and race. But here are some strategies and tips from some professional women who’ve been there that might help. Don’t like these? Find one of the hundreds of books on this topic or go to your friend, Google. • Start with your very first job offer. Too often young people, women in particular, think there’s no room for negotiation for the first time out. Oftentimes there is plenty. • Don’t just go willy-nilly demanding a raise. Go armed with evidence of your accomplishments, the value you’ve brought to the table. • Know your worth. Bolster your request with a market analysis of your position. There are many tools out there. • Go in with a dollar figure of the increase you’re seeking. A non-specific request of “more” is too easy to turn down. Then negotiate from there. • Negotiating can be learned. Practice with your cable bill or buying your next car. • Be calm and businesslike. This is a business deal. Bottom line, women need to get more comfortable talking about this persistent gender pay gap and sharing tangible ways we can fix it. And bosses have to get more comfortable with women negotiating for themselves and speaking up. There’s too much at stake not to get better at this. If you don’t even ask, chances are you won’t receive. 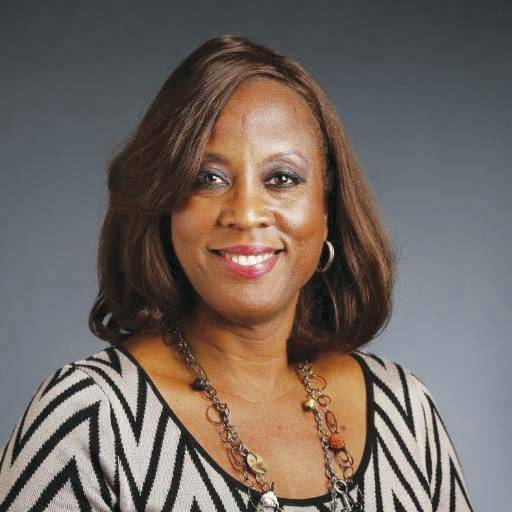 Leona Allen is a member of the Dallas Morning News editorial board. Readers may email her at lallen@dallasnews.com.